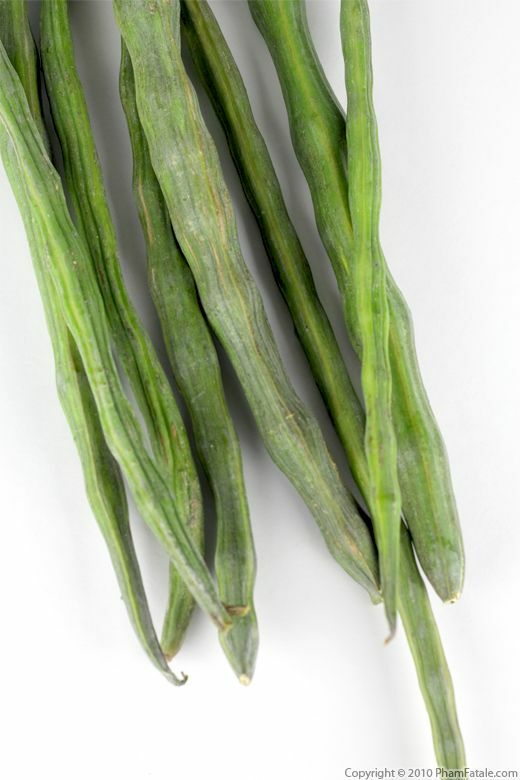 If you're not familiar with drumsticks, they are long, thin, green pods commonly used in Indian cuisine. 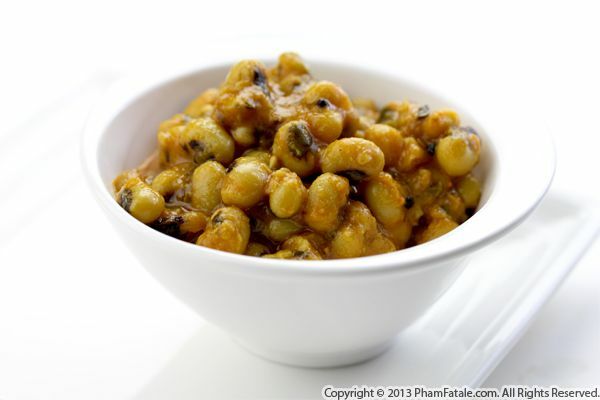 They are often used in sambar soup but they can also be a substitute for spinach or green beans in dal dishes. 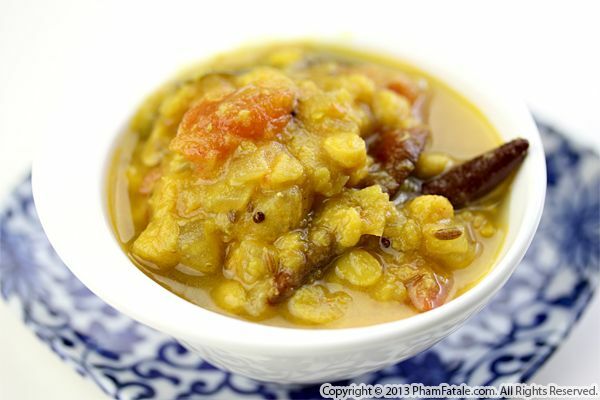 I prepared toor dal, which is the most common lentil paired with drumsticks, although I've seen this dish prepared with mung beans and chana dal (garbanzo) as well. To guarantee optimum tenderness, I choose immature drumsticks at the market; otherwise they become a little too fibrous. When the lentils are soft and gravy-like, drumsticks are added. The drumsticks are chewed until all the artichoke-like texture is eaten, then the outer skin is discarded. If you can get your hands on some, give them a try. They're definitely out of the ordinary. Spicy butternut squash sabzi is an Indian vegetable dish made with cumin seeds, fennel seeds, ground coriander, turmeric, fenugreek, sweet and sour ingredients (mango powder, lemon juice and sugar), butternut squash and its skin. I know what you're wondering. Yes, butternut squash skin is edible; it's just a matter of taste. I discovered this while learning to cook Indian food with Baji, my husband Lulu's late grandmother. If the skin is cooked long enough with a generous amount of water, it becomes soft and tender. The skin also helps prevent the squash from falling apart and turning all mushy. 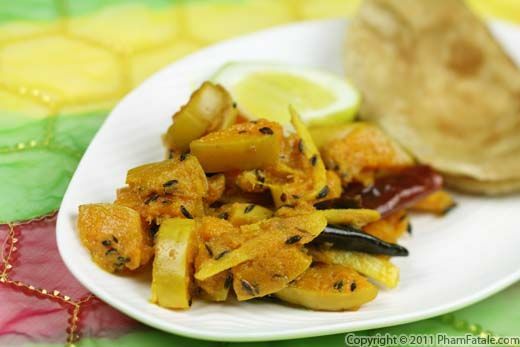 Butternut squash sabzi is traditionally served with puri (fried flat bread). Baji tried teaching me how to make puri and all sorts of Indian flat bread, which I always failed at miserably. I find kneading and folding the dough very tricky, so usually I ask Lulu's aunt, Sheerin Auntie to make them for us. She was over recently so we got to enjoy a nice meal of puri and sabzi. Everyone should have their own Sheerin Auntie! Sambhar is a South Indian dish made of toor dal, vegetables, turmeric powder, curry leaves, tamarind, cinnamon sticks, whole dried red chiles, cilantro, roasted coriander seeds and other Indian spices. 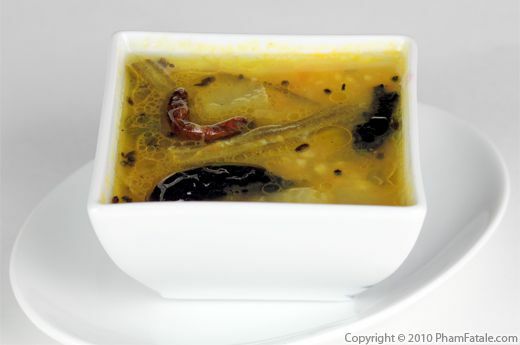 It resembles a soup; and is often served alongside idli (rice cakes) or dosa (Indian crêpe). To make my version of sambhar, I start by boiling toor dal with a lot of vegetables, such as Indian eggplant, drumsticks, okra, carrots, turnips, pumpkin, sweet potatoes or Idaho potatoes and tomatoes, shallots and onions. Then I let the vegetables simmer until the lentils are cooked through. 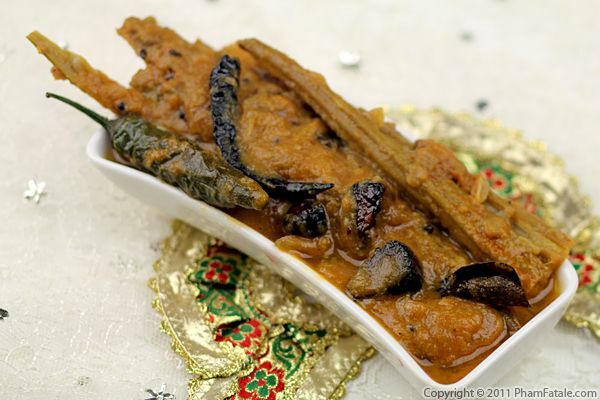 If you’ve ever had sambhar at an Indian restaurant and wanted to make it at home, now you can. It’s very easy, healthy and filling.